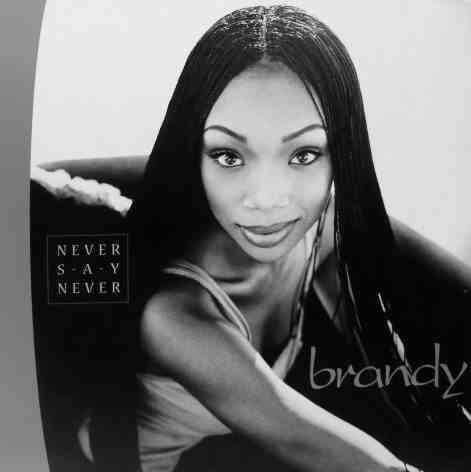 Grammy-Award winning vocalist Brandy’s sophomore album Never Say Never was released 20 years ago on this day via Atlantic Records. With production handled by Rodney “Darkchild” Jerkins, Harvey Mason Jr., Marc Nelson, David Foster and Brandy herself, the album would go on to become one of the quintessential albums of 90’s music combining elements of R&B and Pop. Never Say Never features the #1 hits “Have You Ever” and “The Boy Is Mine”. The latter which is a duet with fellow R&B recording artist Monica, spending 13 weeks at the top of the Billboard Hot 100 chart and becoming the biggest selling single of 1998 and won the Grammy Award for Best R&B Performance by a Duo or Group. Other singles released are “Almost Doesn’t Count”, “Top of the World” featuring Mase, “Angel In Disguise” and “U Don’t Know Me (Like U Used To)”.